Tetruss is an invention in the field of building construction in particular, light weight structure. 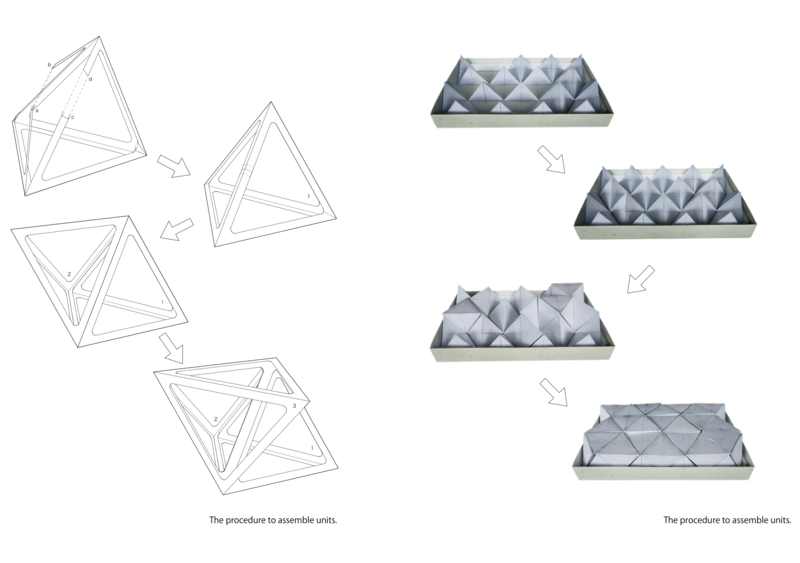 A single tetrahedral module composes this structural system. 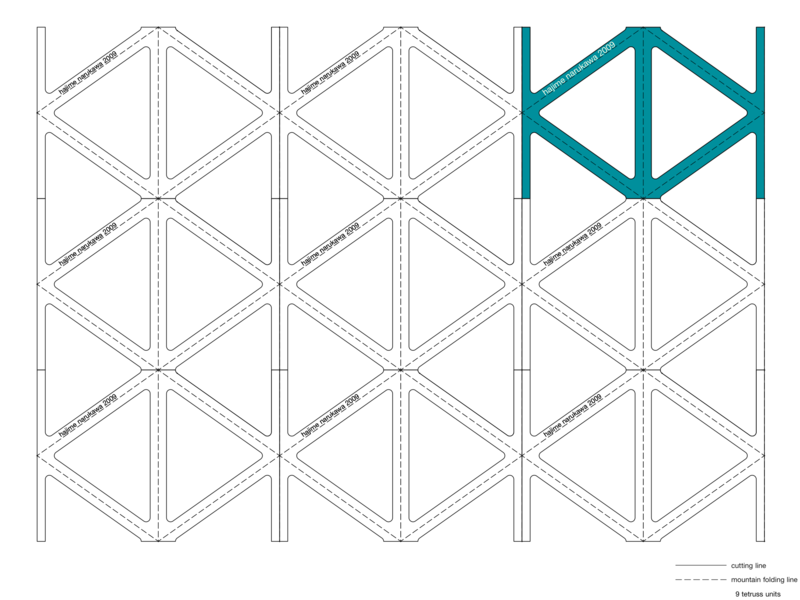 It is known that octahedral unit and tetrahedral unit compose a widely used space frame system, called octet truss. Tetruss succeeded in omitting one unit type, octahedral. The tetrahedron used in the truss module is not regular tetrahedron. It has been known that this type of tetrahedron is one of the few space-filling polyhedras for a long time. However it was rarely used as a structural element. Two persons-chair installed in Miraikan, National Museum of Emerging Science and Innovation is one of the latest product out of tetruss.